Field Of Dreams, a partnership between Grand Slam Baseball and Major League Baseball, a well-known baseball heavyweight, spells great news. It’s all set to become the new place for tournaments and professional coaching with plans to host a cafe-like space for fun, cultural events. 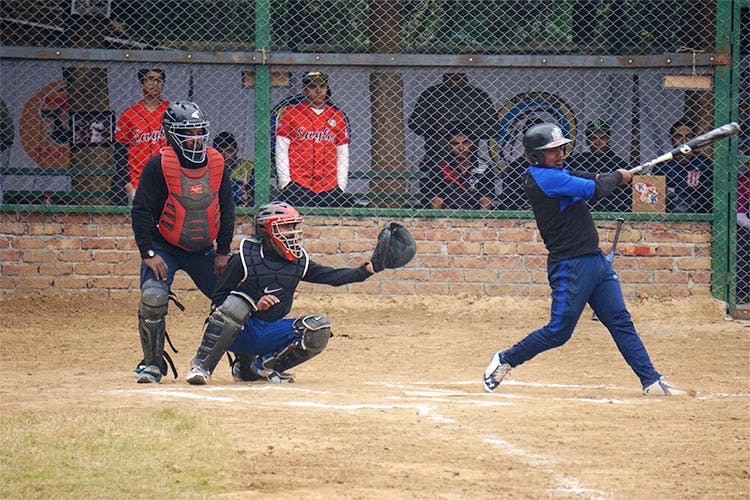 Launching on Feb 5 in Pushpanjali Farms, this professional-size baseball field and membership club will be the first of its kind to host international, youth and corporate leagues. The ultimate aim for them is to promote a robust baseball culture by kicking off with pre-launch trainer programmes and research agendas. To this effect, five international baseball experts are here all of Jan and Feb to work on training the trainers. There’s no denying that it’s six acres of hope for the 80,000 baseball and softball players in the country, but the good news doesn’t end here. Hear this: As a privately owned sporting academy, it will have an exclusive cafe to celebrate events like Mardi Gras, Japanese Day and even Oktoberfest where the expat community can have a field day. While we were still soaking in the excitement of seeing another sport get a cool new facility, we were told that its focus will be developing baseball talent at the grassroots level. To this effect, they intend on offering free membership and training to 200 baseball athletes from government schools of which almost 50% of them will be girls. Sweet smell of victory?